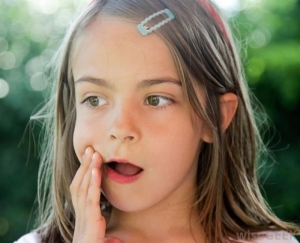 A toothache is a tell-tale sign that it’s time to take a trip to the dentist! Whether you are experiencing sensitivity due to the beginning stages of gingivitis or gum disease, to having an impacted wisdom tooth which needs to be extracted, to finding out – surprise surprise – that a root canal is in your near future….they all pretty much start with a toothache. A dental exam is an evaluation of your oral health condition. It consists of an evaluation of your teeth and its surrounding structures such as your jaw and bite. It is important for the dentist to know your medical history and types of allergies you have, in order to make precise decisions such as quantity of anesthesia, which antibiotics and pain medication to use, among others. Several medical conditions may be initially discovered during a routine exam, thus the importance of checkups which allow the dentist to determine any changes in dental and health status. But chances are, if your jaw or a tooth is sore, the dentist will be able to find out why. Your specialist or practitioner will collect an extensive medical and dental history from you. The exam consists of looking at your mouth, both in and out, cancer screening, oral hygiene instruction, periodontal, and an examination of existing teeth and restorations. X-rays will be taken during the exam because they clearly show each tooth and their corresponding structure, which will help detect abnormalities not visible to the naked eye. Oral photos will be taken which also allow you to see your mouth, tooth-by-tooth, to record any cavities, small cracks, defects in structure, faulty fillings, as well as unhealthy tissue. In addition, you will be checked for any chewing problems, tooth pain, mouth opening abilities, tenderness and flexibility of the lymph nodes. There will be screening of the lips behind the molars, floor of the mouth, borders, and surfaces of your cheeks. Your bite will be checked, which may result in charting of teeth that are crooked, crowded, or spaced too far apart. The exam can help determine if decay is present, and provide multiple treatment options, based of course upon dental research. The length of the procedure may vary, and be determined by the overall state of your teeth’s health. In some cases a second appointment may be necessary to present the results and treatment options available. You will then discuss important findings with your specialist to work out a treatment plan suitable to your current needs and budget. Now, there is one light at the end of the tunnel. If you are experiencing some tooth pain, AND you recently had a head cold or sinus infection, there is a good chance you still have some pressure manifested behind your teeth and will dissipate itself as you get better. Only a trip to the dentist will tell for sure.